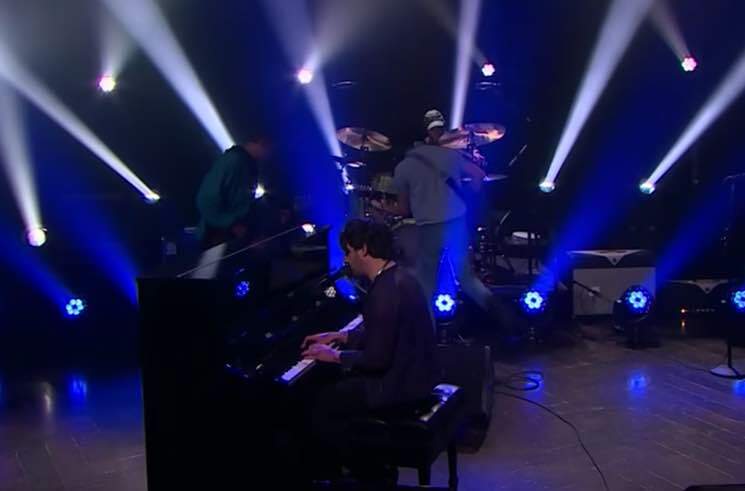 Conor Oberst recently followed up his raw, sparse-sounding Ruminations LP with a full-band revamp called Salutations, and he stopped by The Late Late Show with James Corden last night (May 10) to show off one of the tracks on the latest record. Appropriately enough, Oberst and his band performed "Too Late to Fixate." Oberst held down the piano and harmonica, while his band added flourishes with fiddle, accordion, guitars and percussion.